It’s currently a pretty special time in Toronto for sports radio. The Maple Leafs have the best record in the NHL and the NBA season is underway, with, quite possibly, the biggest superstar the Raptors have had since Vince Carter. Stations such as Sportsnet 590 The Fan are sure to enjoy the payoff, as the excitement in the city will more than likely reflect the ratings for the next several months. This is a dream situation for Dave Cadeau, the program director for 590 The Fan. The man who once held a psychology degree out of college, knows the importance of capturing the excitement of the fans over the airwaves on a daily basis. Both the Maple Leafs and Raptors have a realistic chance to be in a Finals series, come seasons end, which would surely turn the city of Toronto into a frenzy come next June. Though the expectations are high for both teams, there seems to be a different level of connect from the fans between the two teams. For instance, hockey is always going to be the biggest sport in Toronto. That means the Maple Leafs are more likely to receive the greater amount of coverage. But on its roster, the Leafs have two players who were born in Toronto, five others who grew up in Ontario, and several others scattered throughout Canada. There’s also a familiarity and appreciation for the players, seeing as the fans probably knew the names of most of the players, way before they donned a Maple Leafs sweater for the first time. That includes a player such as John Tavares, who signed a 7-year $77 million deal in the offseason. The former No. 1 overall selection in the 2009 NHL draft is now playing for the team he grew up cheering for. The fans loved him before he ever stepped foot on the ice. And most importantly, he loves them back. The Raptors on the other hand, have just one Canadian born player. Their big offseason acquisition also provided the opposite feel of Tavares coming home to join the Leafs. Kawhi Leonard has previously expressed his desire to play in Los Angeles. When Leonard was, instead, shipped to Toronto, the frustration on his face and in his voice was clearly visible. So, on one hand, the Maple Leafs and Raptors did their due diligence to land big offseason pieces. However, one seems to have always wanted to be here, and the other seems to be counting the days until the end of the regular season. It’s an odd situation, but one that all Toronto sports fans will likely have a strong opinion on. Cadeau knows the landscape of Toronto and what works in sports radio. His station at 590 The Fan could probably survive and still have high ratings if they dedicated every single minute to covering the Maple Leafs, but there’s still a draw in the city for the Raptors and the NBA. Especially considering the franchise has enjoyed recent success and has built, quite possibly, the best roster it’s ever had. Sometimes, there can be so many big stories happening in a city that it’s tough to balance them out and give each their due diligence. Cadeau highlights just what works in Toronto sports radio, as well as balancing two athletes with two totally different mentalities. TM: Just how much more popular are the Maple Leafs compared to the others sports teams in town (Raptors, Blue Jays, etc.)? DC: I would say that it’s all about hockey and baseball in Toronto, and basketball. When it comes to football, I think the NFL is bigger than the Argonauts. The Argonauts are definitely a legacy sport and they have a long tradition with a fan base, but it’s a very competitive market. If you look it, the last two championships that have been won in the city are by the Argonauts and Toronto FC. In the seasons that have followed, they haven’t been major players on the sports landscape radar. In part, because their performance in the following season hasn’t been tremendous. But to answer your question directly, the Leafs are absolutely big in Toronto. We went through a period, a few years ago, where they had surprisingly become somewhat irrelevant, just because they were in this mode of where the roster only consisted of a couple players on the roster that you hoped were long-term players with the franchise. Most of the players were either playing out contracts or hoping to be traded at the deadline. With Mike Babcock coming in and Auston Matthews being drafted to the team and other excellent young players joining, such as John Tavares, the team is absolutely at the top of the pile. They’re miles above the other teams in the city. 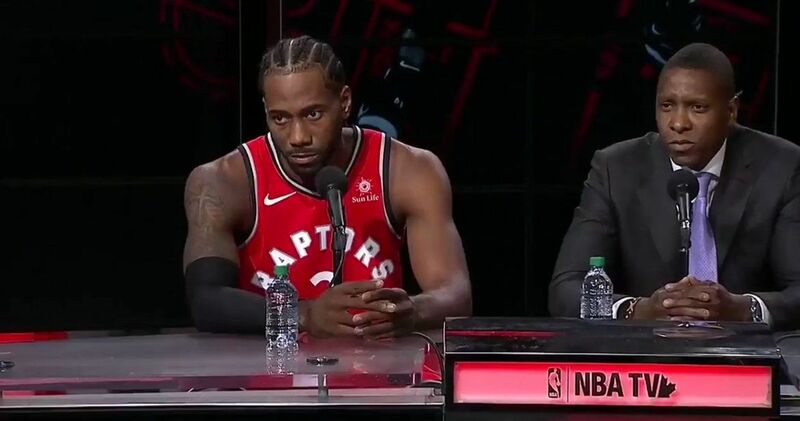 When you say that, the Raptors have, quite arguably, the best roster in the entire history of the team. They’re going to be a big deal this year, but the Leafs will tower over them. TM: There’s a fascinating dynamic with two superstars in Toronto this year. For the Leafs, John Tavares is a local kid that’s always wanted to play for the team. He loves the city and it loves him. However, the Raptors have Kawhi Leonard and it seems like he doesn’t want to be in Toronto at all. 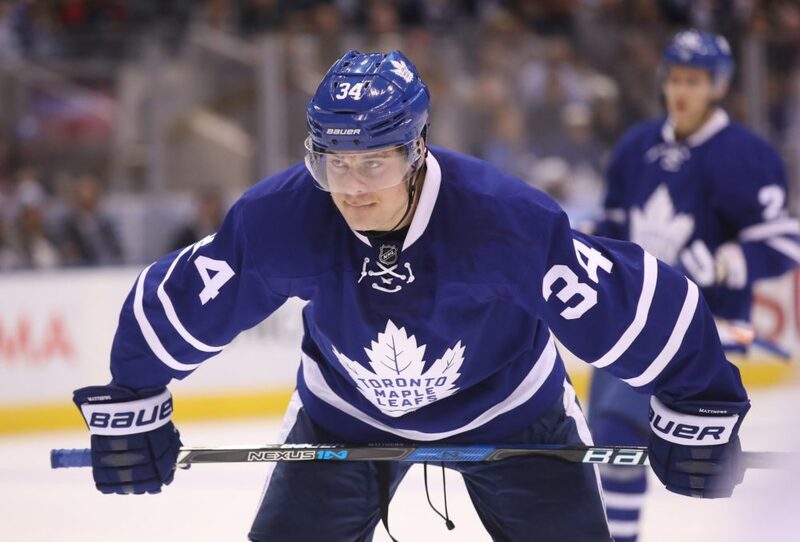 How have listeners received two guys that are stars, but seem to have complete interest or disinterest in Toronto? DC: I think Raptors fans have typically had players on the roster they assume or feel, rightly or wrongly, that the players don’t want to really be here. You get a lot of players that come through the city and come to love it when they’re here, but Toronto has challenges in that league. It’s the only team where, every time you go on the road, you’re going through customs. That’s a challenge. Many years ago, we had Antonio Davis here who was a celebrated player on a team that was built to win. When he grew tired of being here, he was saying things like, well, it’s difficult having my children learn the metric system. I mean, c’mon, that’s pretty weak. Or when Vince Carter said he couldn’t find any good soul food in Toronto, even though it’s one of the most diverse cities in North America with a huge Caribbean festival. It’s just one of those things where players tend to lay down excuses. We had an athlete in town a few years back that was upset because he couldn’t watch as much college football as he wanted. We look at these athletes and think, since they make so much money, they can find their comforts, but sometimes there’s just things you need. Kawhi Leonard is an enigma. I don’t claim to know anything about him on a personal level. I sure hope he can come in and perform like a star and whatever he’s going to do next year is whatever he’s going to do next year. I think the fan base, when it comes to the Raptors, they want the players to come in and love the city, because that’s a personal thing. It feels amplified, because the vast majority of the players in the NBA aren’t from Canada. It makes it very different from hockey. The fan base kind of always feel like its hosting. TM: So all the teams the Raptors are playing are inside the United States. Same for the Blue Jays, seeing as the rest of the AL East is in the northeast. Do your listener’s interest in sports teams extend into the U.S. since that’s who the teams in the cities are competing with? Or do they want to keep it local to Canadian sports? DC: So when you look at our three markets, Vancouver is hyper-local, Calgary is hyper-local and Toronto is very local, but also there’s also a lot of people living in Toronto that aren’t from here. So, there’s of a demand for sports talk that ranges outside of Toronto. I think the best example of that would be the NFL. We don’t have a team in Toronto, but we carry the Buffalo Bills’ games. They actually used to have an agreement where they played a home game every season in Toronto. The challenge they ran in to, and it’s only two hours away, but they’d play the Steelers and the place would be half full of Pittsburgh fans. It’d be the same with the Cowboys. All of those big NFL teams that have a legacy, also have a lot of fans in Toronto, and the Bills never got any kind of home field advantage. When it comes to the NFL, our audience really has a numerous amount of teams they want to know about. But we do talk about the NHL in a national sense with a Toronto bent. We will talk a lot this year about the Tampa Bay Lightning and the Boston Bruins, because we expect them to be the beasts in the east. There’s a huge rivalry with both the Buffalo Sabres and the Montreal. Montreal because of pure legacy, Buffalo because of proximity and Ottawa because of the history in the early 2000’s. Like any other sports radio format, we focus local in Toronto but we also branch out quite a bit. TM: Like we discussed, the Leafs are often the biggest story in town. But is there room for a clear No. 2? For instance, the Raptors have a great year and Kawhi decides to stay, is it possible they could be the clear second option in town? DC: Of course so, there’s a lot of room. The Blue Jays even took the spotlight for a short period of time during 2015 and 2016. The Blue Jays are likely to remain at No. 2 for some time, partly because of legacy. We’ve had the Raptors for 20 years, but we’ve had the Blue Jays for 40 years. Right there, the fan base just has more depth for baseball. Plus, they’re different sports on the radio. If you’re talking to me about broadcast audience of the actual games, baseball is just a different animal when it comes to radio, it was just built for it. The other things about the Blue Jays and the Raptors is that they’re seasonal and offsetting with each other. We will talk about the Maple Leafs all year long. We’ll talk about the Blue Jays, deeply during the season, and the Raptors, deeply during the season. But we need notable storylines to talk about them in the offseason. One of the real beauties about being in the city, is that we have so many teams to talk about. We’re not in a situation, like Montreal, where there’s only one local team that everyone cares about. TM: In terms of most influential athletes in Toronto history, could John Tavares make a run at that? If he does, what is the payoff for your station going to look like? DC: Well, I’m not going to sit here and tell you he can’t be. The potential is there, being from the city and choosing the city in a sport that always has superstars moving. He’s very engaging and aware as an athlete with the fan base. The potential is there and he’s a superstar in his prime on a team that’s a contender. Everything is there for that to happen. As far as the payoff on sports radio, sure. There’s huge potential, but what you really need to do is look at this roster, it’s loaded with young and exciting talent. John Tavares added so much more momentum to the excitement about the Leafs, but Auston Matthews is really lighting it up to start the season. What’s been amazing about this team, is that a decade ago, the argument was that there was too much pressure for Toronto raised kids to come back and play for the Leafs. So rarely do you see that happen and now this team is loaded with local kids. It’s amazing and they’re really important players on the roster. What will John Tavares’ impact be on sports radio? Well, it’ll be big, but it’ll also be a big part of something that’s amidst. I wouldn’t peg it all on him, you look down the roster and it’s what this entire team can do for sports radio that’s exciting.